Click the links below to download PDFs of the 2013–2014 annual report and the major donor lists. 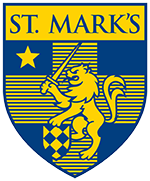 In an effort to maintain privacy, the Cumulative Giving Donors List and St. Mark's Fund Leadership Giving List are password protected. The password to open the list was included in the Annual Report announcement distributed by the School. If you have any questions, please contact Dave Carden, Assistant Director of Communications, at cardend@smtexas.org.